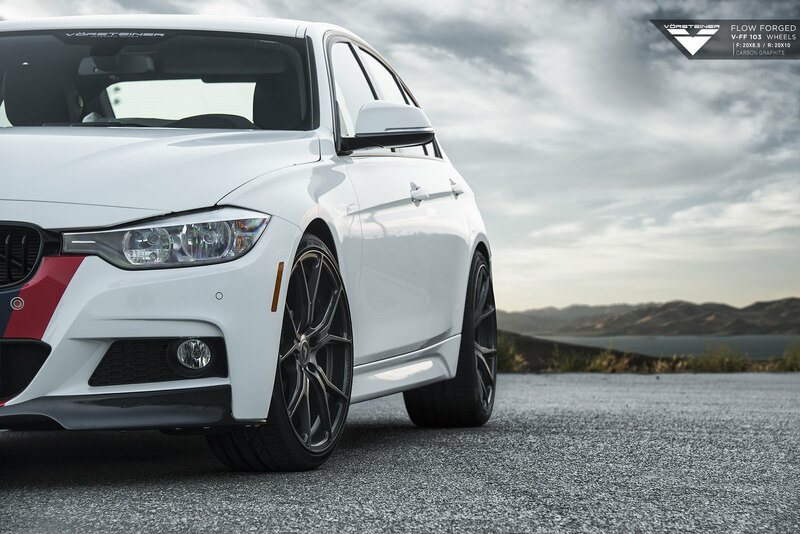 Vorsteiner has released this photoshoot of an F30 fitted with V-FF 103 Flow Forged wheels and their new F30 carbon fiber front spoiler. 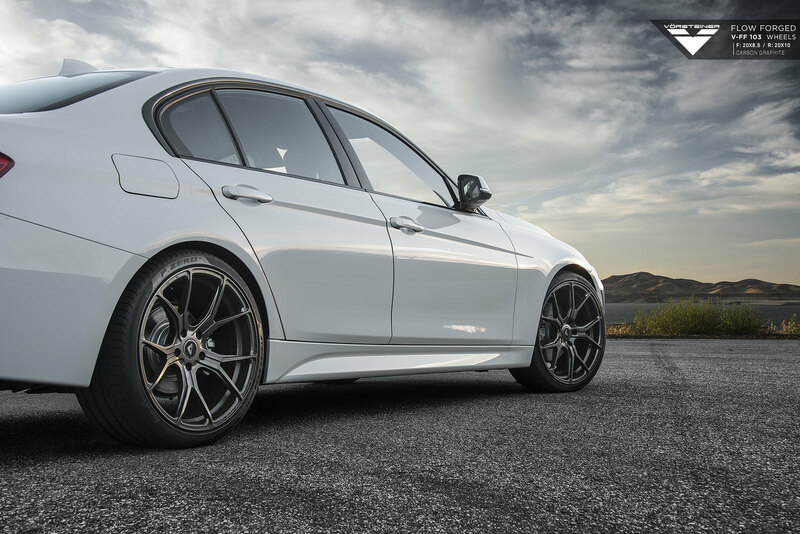 These lightweight wheels fitted specifically for the BMW F30 3-series are pictured in Carbon Graphite in a staggered 20×8.5 front, 20×10 rear. 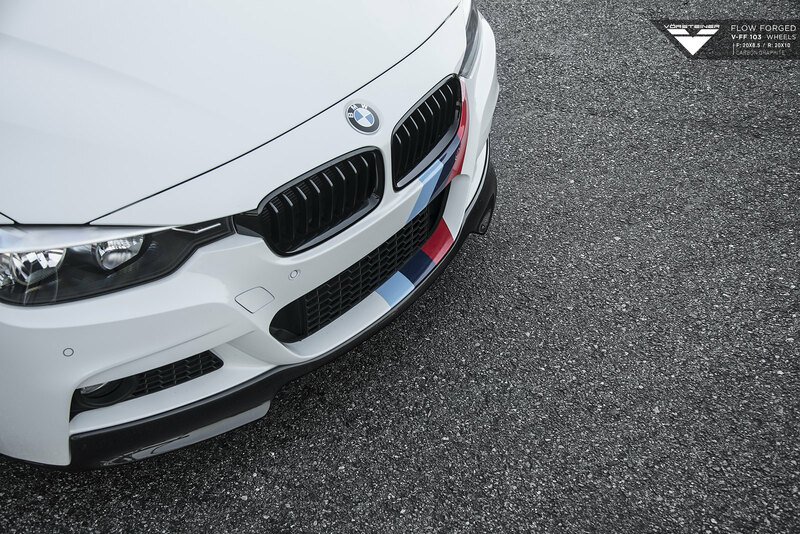 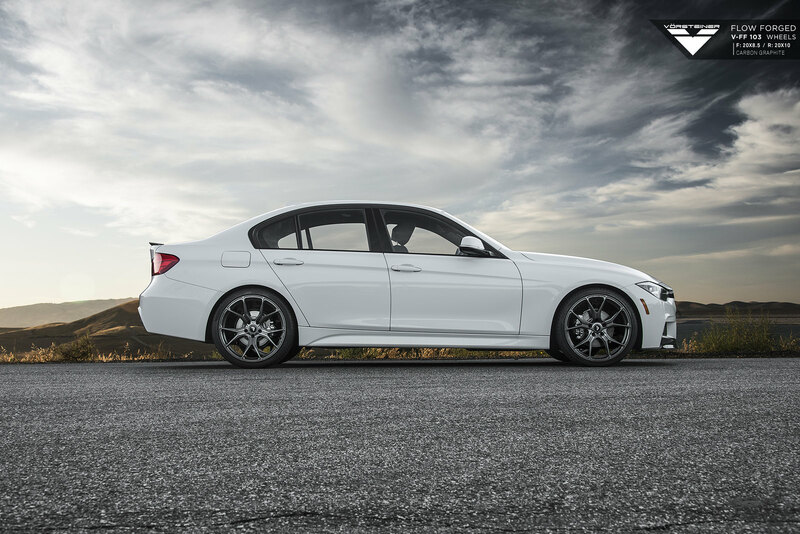 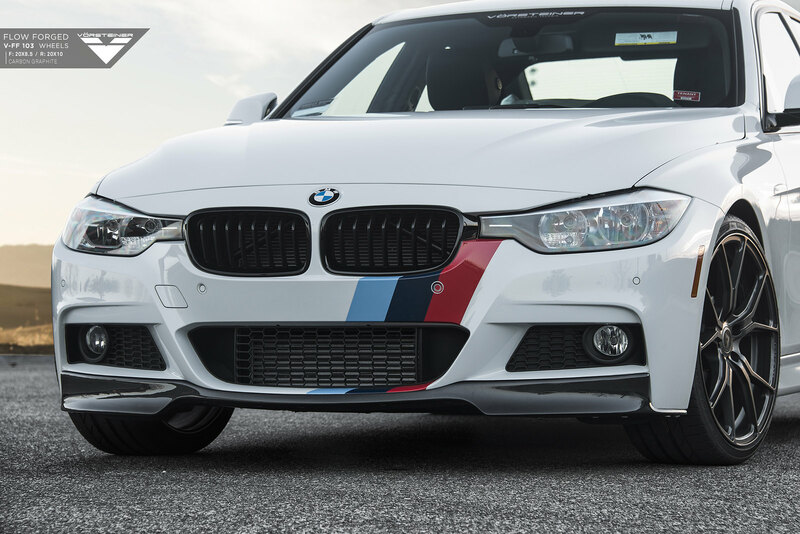 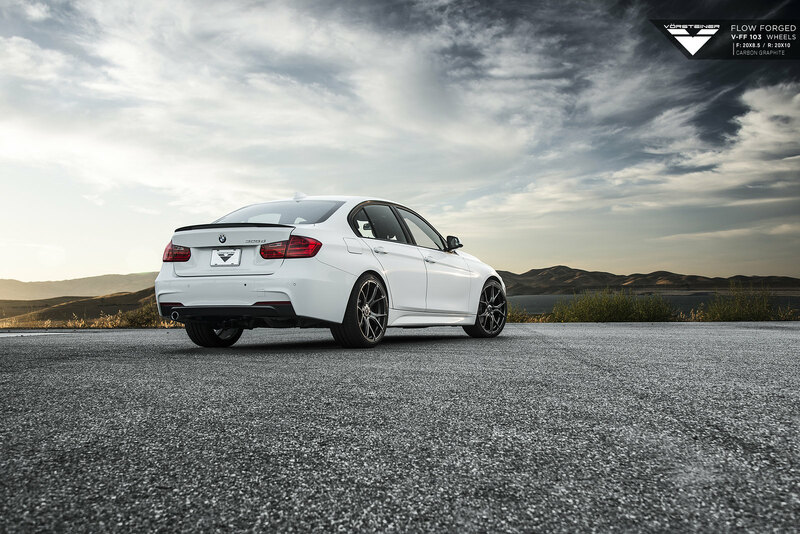 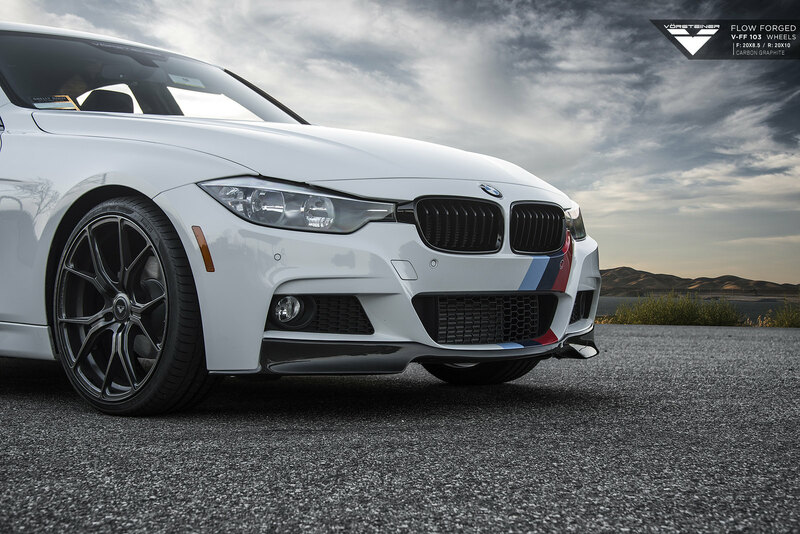 In addition, the Alpine White 3-series M-Sport is fitted with their newly-released BMW F30 Carbon Fiber Front Spoiler!